SixPivot CEO and CoFounder, Faith Rees is proud to be honoured as a winner in the Annual 2018 Women World Awards in the Startup of the Year Category. The coveted annual program encompasses the world’s best in leadership, innovation, organisational performance, new products and services for every major industry in the world. More than 80 judges from a broad spectrum of industries around the world determine the annual winners. The Women World Awards are an annual industry and peer recognition program honouring women in business and professions from North America, Europe, Middle-East, Africa, Asia-Pacific and Latin America. The awards are part of the SVUS Awards recognition program from Silicon Valley, USA. Winners will be honoured in San Francisco July 30, during the annual SVUS Red Carpet Awards Ceremony. SixPivot is proud to have been announced as one of the winners in the prestigious Women World Awards® in the Startup of the Year, formed 2015 category. The coveted annual Women World Awards program encompasses the world’s best in leadership, innovation, organizational performance, new products and services, and milestones from every major industry in the world. 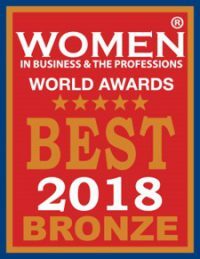 “It’s an honour to be named a winner by Women World Awards for this esteemed industry and peer world recognition,” said Faith Rees, CEO and Co-Founder of SixPivot “These awards are a testament to SixPivot’s commitment to driving innovation across small, medium and enterprise business and government that drives real change. We choose to work with customers who are driving social change initiatives where we can have the most impact on bettering society. SixPivot is a cloud first innovator. A software development and strategic management company who work with Independent Software Vendors (ISVs) and Customers who are building software products for commercial production across diverse industries. We also work with Corporate Entities whereby their core business may not be technology focused however technology is core to their product or service delivery. SixPivot is pivotal across the 6 areas needed to turn product vision into a successful business.